Long time since the last update. Due mainly to lot of personal duty for the team members. Anyway this version mainly introduces more complex layer operations (which is the most requested features from the community). 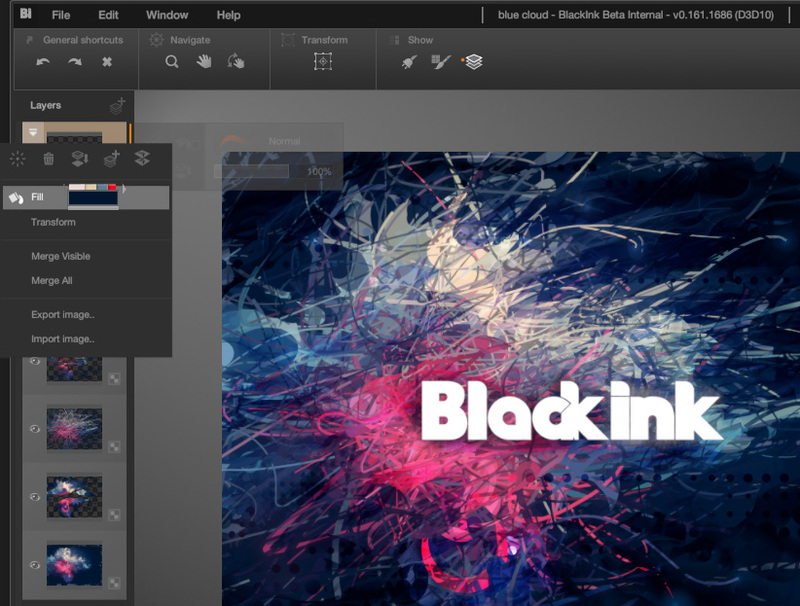 Many thanks to all the users who already purchased Black Ink! The community grows every day and we are really amazed by your great feedback on our product. 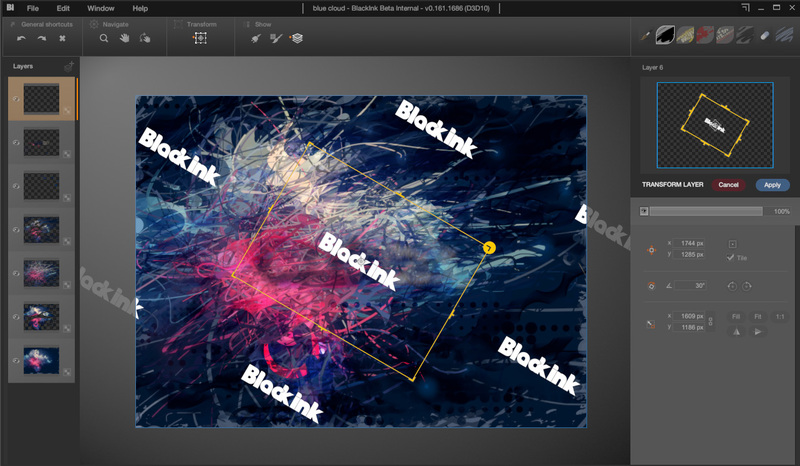 User can now use the .JPG image format in Black Ink for saving and loading. You can Drop an image file from the Window Explorer to open it. If it’s a .BKD it will open the document but if it’s another file format( .JPG, .PNG ) it will import it in the current selected layer. T shortcut ( Transform the current selected layer ). “General Shortcuts” section added in the Toolbar. “Transform” section added in the Toolbar. Crash when using the stylus Eraser when brushing with the mouse. Brush Preview flooding when Dragging out controller block from a slot without destroying it. A Preview was created each time the user start to draw while it was unnecessary. The Shortcut Esc that sometimes close Black Ink has been removed. So wonderful to see all the new layer options! So pumped! Can't wait to try that tile option. You folks rock like a mountain! Amazing, thanks for the great update!